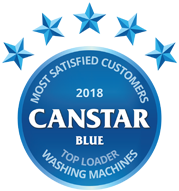 Compare top loader washing machines from Fisher & Paykel, LG, Samsung, Simpson and Haier on their performance & reliability, ease of use, design, quietness, features and value for money, with Canstar Blue’s 2018 review & ratings. Fisher & Paykel has topped Canstar Blue’s customer ratings for the fourth year in a row, recording five-star reviews for performance and reliability, ease of use, design, value for money and overall customer satisfaction in 2018. A home can’t function without a good washing machine, unless you’re still washing all your laundry by hand! School uniforms, work shirts and trousers all need to be done before the dreaded Monday comes around again. 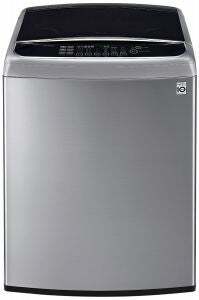 So to keep the schedule running smoothly, it’s important to find a washer that’s right for your household’s needs. But with so many different brands on the market, where do you start? Canstar Blue’s 2018 customer review and ratings is as good a place as any. We annually survey hundreds of Aussie households to find out which top load washing machines are keeping busy families happy, with brands rated on factors including performance & reliability, ease of use, design, quietness and features. The idea is to give you as much information as we can before you head in-store or online to buy your next washer. Think of it as like asking hundreds of your friends and family about their personal experiences with their washing machines. For the fourth year in a row, Fisher & Paykel has received a five-star overall satisfaction review from its customers, meaning it retains its place at the top of our comparison table. Our New Zealand cousins clearly know a thing or two about making good washing machines, with Fisher & Paykel earning five stars in almost all research categories in 2018, including performance & reliability, ease of use, design and value for money. It was four stars overall for LG, Samsung and Simpson, with Haier rating just three stars. While Fisher & Paykel scored four stars for quietness and features, LG received top marks in these two categories, as well as for design. Samsung earned four stars in all aspects except for performance where it achieved only three stars. Simpson was also consistent with four stars across all areas. But it’s overall customer satisfaction that matters most – and Fisher & Paykel is still the brand to beat for lovers of top loaders. To help you decide which top load washing machine is best for your needs and budget, here is a guide to the five brands in our 2018 review and some of the other leading contenders. One of New Zealand’s most successful exports, Fisher & Paykel has an interesting range of top loader washing machines available in Australia. Like its front load counterparts, the top loaders generally fall into categories – WashSmart, FabricSmart, CleanSmart and QuickSmart – with the clue to their features obvious in their names. WashSmart models from Fisher & Paykel feature super-fast wash cycles, while FabricSmart washers are ‘gentle on clothes’. CleanSmart units boast particular technologies to help clear out tough stains faster and QuickSmart models are claimed to get the full load cleaned faster. Fisher & Paykel top loaders are around 8kg in size capacity, while some are as small as 5.5kg, with the largest weighing in at 10kg. The cheapest units cost around the $850 mark, but most carry price tags of $1,000 and up. Fisher & Paykel was a clear winner in this year’s top loader ratings, earning five stars for overall satisfaction and for most categories, except for quietness and features where it rated four stars. South Korean appliance giant LG has a fairly large range of top loader washing machines, with 19 different models. Many of the units sit above 8kg in capacity – maxing out at 14kg – but you can also find three smaller 6.5kg models. LG’s washing machines feature the LG ‘Turbodrum’ mechanism, which rotates the drum clockwise, while rotating the water anti-clockwise. This, according to LG, results in an ‘agitator-like’ action, able to bust through tough stains, but without the wear and tear that agitators can have on your clothes. 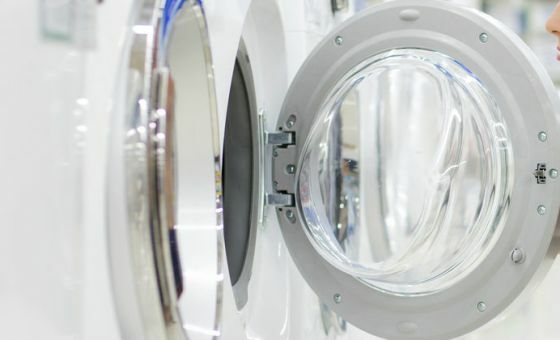 Many LG washers feature multiple wash cycles, with load-sensors to reduce wastage. 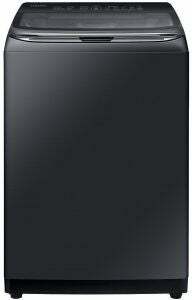 LG’s top loaders can be found from as little as around $850, while many are priced under $1,500. Its largest 14kg models are the most expensive with a $1,899 retail price tag. LG was a solid performer in this year’s ratings, with four stars for overall satisfaction. It did, however, rate five stars for design, quietness and features. Another South Korean electronics giant, Samsung features top loaders that are generally easy to use and boast very large capacities, with 13kg on offer. Quick wash functions are common, as are Eco wash spin cycles. Samsung’s top loaders are generally $1,000 and up, with the larger models sitting around $1,900. 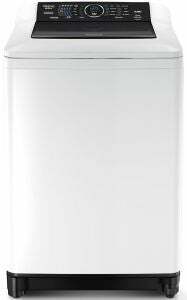 The Samsung 8kg Top Load Washer (WA80F5G4DJW) features a soft close and clear glass lid, similar to front loaders that allow you see your washing inside. Additional features include Wi-Fi connectivity for troubleshooting and a rear control panel with an LED display. Samsung was rated four stars for overall customer satisfaction in 2018, as well as in most other categories except for performance and reliability where it received three stars. 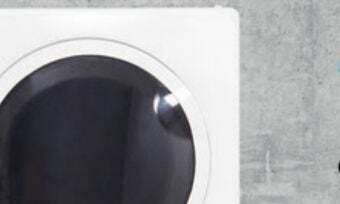 Australian favourite Simpson is now owned by Electrolux, but its focus is still on budget-friendly washing machines, with a penchant for function over form. Simpson’s top loaders can be found from as little as about $580, while most cost around $1,000. You can find a 10kg unit (SWT1043) from as little as $1,250. 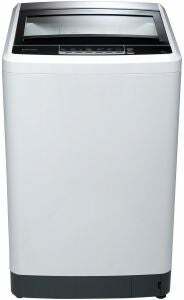 Simpson’s washing machines generally feature 10 wash programs or more and aren’t a slouch in the efficiency department either – the 10kg model mentioned uses 102L of water a cycle, which is quite impressive for a top load of its size, while also being rated 4.5 stars for energy efficiency. Simpson was rated four stars for overall customer satisfaction in our 2018 top loaders review with consistent results throughout each aspect. Major Chinese appliance brand Haier has numerous budget-friendly top loaders on offer. While you might not find extraordinary features, it does pack in everything you’d expect from a regular washing machine. Starting at around $550 for the 6kg capacity models, its largest 10kg top loaders still maintain prices under $1,000. Energy ratings sit below three stars, with the 7.7kg capacity model (HWM75TLU) being rated a 1.5 star. Nevertheless, the upfront cost speaks for itself. Some models do feature the Delay Start option, so you can make use of the off-peak electricity tariffs during the night. Haier scored only three stars for overall customer satisfaction, as well as performance, ease of use, design and features. 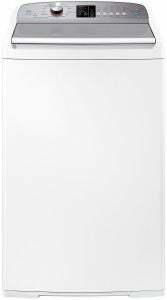 Haier top loaders were, however, rated four stars on the subjects of quietness and value for money. Just because these brands didn’t garner the required sample sizes to be included in this year’s top loaders review, doesn’t make them any less viable for your next washing machine purchase. 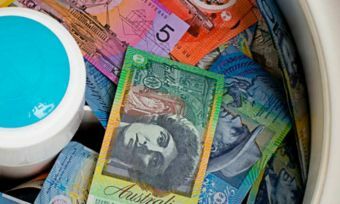 So, be sure to compare a wide range of appliances before splashing out hundreds or thousands of dollars. We look at the listed brands in detail below. The Esatto range, with four models on offer, sits on the budget friendly side for top loaders. Prices start at around $550 and max out at $800. Even with the cheap units, you can still expect large load capacities such as the Esatto 9.5kg top loader. As far as features go, the 9.5kg model covers the basics including six programs and a 700 RPM spin speed. It does, however, have a pretty average energy efficiency rating of 1.5 stars. Others in the range have load capacities of 5.5kg, 6kg and 7kg. All have similar energy efficiency ratings, so you might not save long term on your electricity bills. According to the Standard Test, these bad boys can use anywhere from $100 to $200 in energy per year. However, you won’t be left out of pocket from the low upfront cost. Australian-owned Euromaid is another brand that caters for those looking at well-designed appliances at affordable prices. Euromaid has three different sizes with its top loader range – 5.5kg ($549 RRP), 6.5kg ($649 RPP) and 8kg ($849 RRP). A key design feature of the Euromaid range is the transparent lid, allowing you to keep an eye on the washing. Inside the drum there’s no agitator (the vertical column usually in the centre of a drum), which you may find helpful for fitting in bulky items such as large blankets. All models feature eight different cycles and a delay start option, giving you the ability to make use of off peak electricity times. All are designed with a spin speed of 750 RPM and have a 1.5 star energy rating. Panasonic’s top loader washing machines are all larger capacity units, sitting between 8.5kg and 9.5kg. At the time of writing, Panasonic has five models on offer from $999 to $1,199 RRP. The range features Panasonic’s ‘Active Wave Pulsator’ feature instead of an agitator, as well as a rear control panel that can be accessed even if the lid is up. Programs include Quick wash, Delicate, Bedding and Soak. 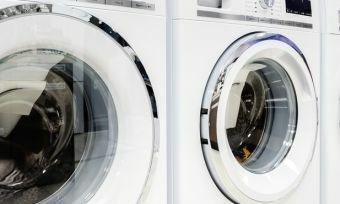 An additional system that Panasonic washing machines are boasted for is their ‘Econavi’ technology, stated to feature sensors that detect the volume of the laundry and the water temperature to select the most efficient cycle, saving energy and water. Lemair caters for the ‘small top loader’ segment, with one 3.2kg capacity model. 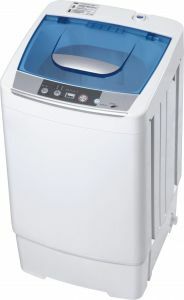 The Lemair washer (pictured) is a fully automatic mini washer with a cold water connection only. It’s said to be best suited for caravans, motor homes and holiday houses. With a maximum spin speed of 850 RPM, it doesn’t fall far behind the other brands. It has three water settings – low, medium and high – as well as four process options – wash, rinse, spin and gentle. Coming in at just under $500, you might like to consider Lemair if you’re looking for a portable option. There are naturally pros and cons to buying a top loader instead of a front loader, but with each type being constantly improved and advanced, there’s certainly merit to both. If you’re positive a top loader is right for your home, here are some things to consider. Typically top load washing machines are perhaps best suited to large households with intense washing demands. They tend not to boast the same high-tech features as some of their front load counterparts, with more of a focus on providing maximum ease of use, convenience and bang for buck. Really, their simplicity is their main appeal and you won’t need to spend a fortune for a quality machine. Agitator top loaders have a round, plastic column in the middle of the unit, which twists and turns to deliver a seriously thorough clean. This technology has come a long way during recent times, but agitator washers have been criticised for being rough on clothes. Impeller/pulsator top loaders have increased in popularity over recent years, with many manufacturers focusing their efforts in this area. Instead of a central column, these top load washers have a propeller-like device at the bottom of the barrel, with the aim of producing a gentler cleaning performance. Whichever type of top loader you decide is your best bet – both should do the job perfectly fine – you’ll need to give serious thought to factors such as capacity and energy efficiency, which will have a direct impact on purchase prices and ongoing energy costs. However, the good news is that, owing to their generally more modest features, top loaders tend to be cheaper than front loaders. 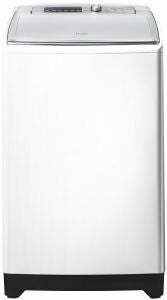 It goes without saying that the larger your washing machine capacity, the more it will generally cost you upfront. 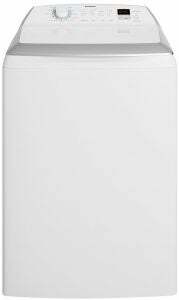 But as top loaders are generally cheaper than front loaders, you should still be able to get a lot of washing machine for your money. You’ll find a few brands offering top loaders with size capacities of between 10 and 14 kilograms (this refers to the weight of your clothes), while units around 8kg tend to be the most common. 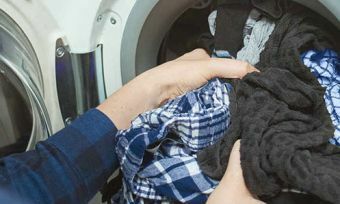 It’s tempting to buy a large capacity washer just in case you’ll need it, but consider whether or not you’ll really be getting your money’s worth – not just in terms of the purchase price, but the wasted energy of running a half-empty machine. For average households of three or four people, an 8kg top loader should be sufficient. It’s easy to get distracted by an appealing purchase price and forget about an appliance’s water and energy ratings. You can learn how energy-efficient a washing machine is or isn’t by checking out its star ratings – the more stars, the more energy efficient it will be, and the less it will cost you in ongoing bills. There are separate star ratings for water and energy efficiency. However, keep in mind that the higher the energy ratings, the higher the purchase price will usually be. You will need to consider whether you want to save money at the time of purchase, or over the course of several years through reduced energy consumption. 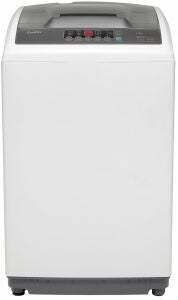 If you want a new top loader washing machine that delivers on performance & reliability, ease of use and value for money, our ratings suggest Fisher & Paykel stands out as a good contender. However, be sure to compare a wide range of options before deciding which is best for your family. Canstar Blue commissioned Colmar Brunton to survey 3,500 Australian adults across a range of categories to measure and track customer satisfaction. The outcomes reported are the results from customers within the survey group who have purchased and used a washing machine in the last 3 years – in this case, 939 people.